A handful of families, several generations, more than a few wars. Moscow, Kabul, Barcelona. Anna Nemzer announces herself on the literary scene boldly and loudly with this debut novel about the insane, unspeakable nature of war, about human fears, treachery, lies, fateful coincidences and destinies during warfare, when there is no room left for love. The protagonists survived the war and are rescued from captivity. They are not able, however, to leave the experiences of the war behind them and move on with their lives. The novel explores what happens once the conflict is over, as they learn to live without the war, with all their loves, passions and weaknesses. Anna Nemzer Anna Nemzer was born in Moscow and graduated from the Historical and Philological faculty of the Russian State University for the Humanities. She worked as a journalist and an editor for the magazines Snob, Russian Reporter and Around the World. She has also worked for the TV channel Kultura. Since 2008, Nemzer has been the editor-in-chief of the magazine Snob. In 2009, Nemzer wrote the first part of the novel Prisoner. It is not true, dedicated to the memory of the generation affected by war. 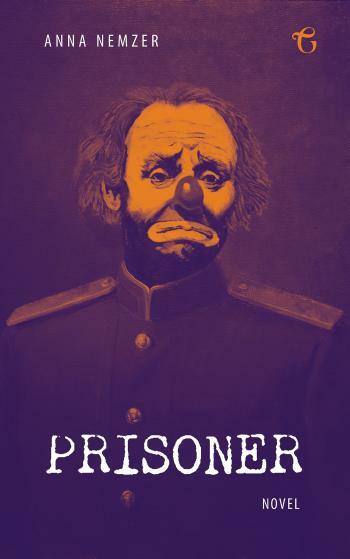 Prisoner was published in the journal Znamia and shortlisted for the Belkin Prize. In 2011, she finished the second part of the novel. The novel Prisoner is her debut in prose.